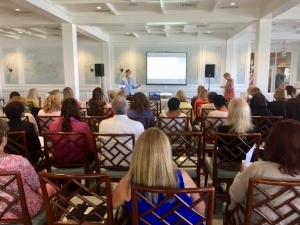 In 2017 and 2018 the Nurstory team was invited to Florida Atlantic University's Christine E. Lynn College of Nursing's faculty retreat to help the program integrate digital storytelling into nursing education. Dr. Marlaine Smith, Dean of the College, knows and understands the value of not just the dialogue that the viewing/listening of stories fosters, but the role of the distillation of nurses' stories in critical reflection, meaning-making, growth and the battle against burnout and compassion fatigue. In Spring and Fall 2018, a cohort of select faculty will integrate the Nurstory Curriculum into their classes as part of a project to evaluate the effectiveness of the practice on the students. The Nurstory Team at FAU's faculty retreat. The report from FAU will be posted here upon completion. If you're interested in bringing digital storytelling to your nursing program or nursing practice, contact us! A story by a nurse about how a mistake she made in her research still haunts her . . . and what to do with the mistakes we inevitably make, even when our intentions are good. A story by a nurse researcher about a small, singular moment with a patient when she was a new nurse, and about how she found compassion. A story by a nurse about finding the power in being a nurse who truly advocates for their patients.